When you’re a small to medium-sized business, it’s easy to become focused on simply keeping everything running from one day to the next. However, it’s vital to maintain forward momentum if you want to make your online business a success. A particularly effective way of doing that is by establishing some core strategies for growth. These will help you identify any areas for potential improvement, as well as the steps you’ll need to take in response. This can lead you to many new opportunities and an expanded customer base. In this post, we’ll discuss why growth is so important. We’ll also cover a number of core strategies that every small business can use to grow its online presence. Let’s get to work! Running a business can be tough. You’ll likely have a mile-high to-do list, so it’s easy to fall into the habit of simply getting the work done. While this will keep everything moving along, it doesn’t offer much room for growth. Growth is vital, as it stops your business from becoming irrelevant or out of touch. Using the exact same approach year after year is likely to result in an uninterested market, lowering your levels of site traffic and conversions over time. In fact, cash flow issues are one of the most common reasons small businesses fail within the first ten years. On the other hand, establishing some core strategies for growth now can help you avoid hitting a dead end. It may also identify any potential issues that are on the horizon. You can then adjust accordingly, and provide a better service for your customers. A growth strategy is a plan of action that enables you to achieve a higher level of market share than you currently have. This kind of strategy is typically focused on long-term goals, rather than short-term earnings. Cost leadership. This is where you aim to become the lowest cost competitor. In other words, you’ll sell products at a lower cost than your competitors – and at a loss to your company. This attracts business without sacrificing quality. Differentiation. This is the process of developing products that provide more value and quality than those of your competitors. Focus. Here, you’ll target a specific segment of your chosen industry, ignoring the rest. Usually, this focus area is where your competitors are weak. Whichever approach you choose, it’s important to only pursue one at a time – not all three. Trying to split your focus that way can result in your business becoming ‘stuck in the middle’. In other words, you’re likely to overstretch your available resources, and end up offering lower-quality results. After deciding on your key area of focus, it’s time to get down to business. With that in mind, let’s talk about how to get started with each of the three core growth strategies we mentioned above. The lowest cost competitor is a business that sells products at the cheapest price point within a specific industry. It’s no secret that customers love a bargain. Offering high-quality products at low prices will hopefully make you their first port of call. However, this approach does come with potential risks. Profit is essential to any business – without it, you won’t have the required funds to keep everything running smoothly. Reducing the cost of your products may leave you in a difficult financial situation. 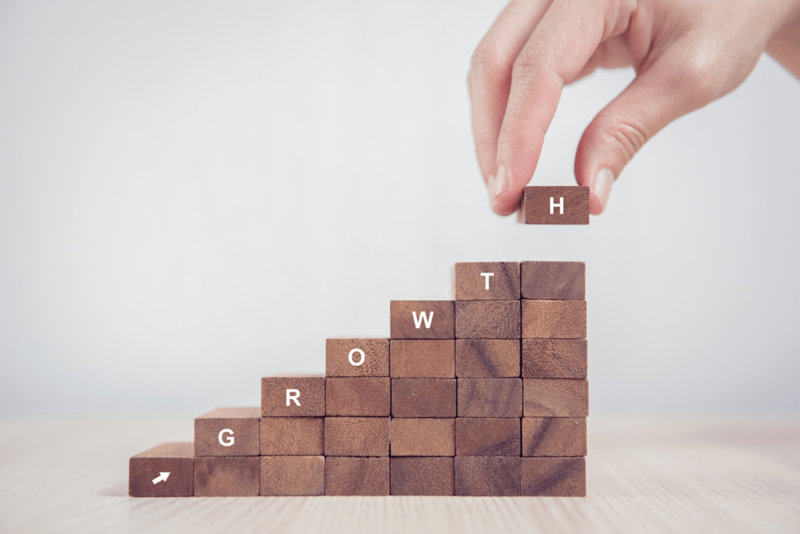 Before pursuing this growth strategy, therefore, it’s important to ensure that you can do so without causing money problems in the short term. Can your available budget allow for a decrease in price? If you decide this is the best plan of action, you’ll need to pay close attention to your website analytics, return on investment, and other key indicators as time progresses. You’ll almost definitely see an initial loss. However, as customers begin to take notice of your improved price point, your revenue should start going back up. Creating new products and services enables you to completely re-imagine what your business has to offer. Research is key to making this tactic a success. Creating new products can be expensive, so you’ll need to be sure people will actually buy them before you make any commitments. User reviews are an excellent source of inspiration when you’re looking for under-served needs to meet. By reading through recent reviews, you can gather information about any potential issues that need ironing out in your current product line, and learn what your audience wants that you don’t yet offer. You can also produce customer surveys or polls, using an online service like SurveyMonkey. This research method enables you to put questions about potential products directly to your desired market. Focus groups are also an option, although they can be more costly to run. Once you’ve collected your data, you can begin to create products or services based on your findings. You can also refine what you already provide. For example, if your audience expresses an interest in an expanded version of your current service, you could set up members-only content that requires a monthly payment. As touched we on earlier, businesses that use ‘focus’ strategies concentrate their efforts on particular niche markets. Understanding the specific dynamics of that market will mean you can provide a targeted service for the customers within it. In turn, this can build the loyalty customers hold for your brand. A strong relationship with your audience is essential for growth, as it could be the thing that sets you apart from competitors. In fact, 43% of customers spend more money with brands that they feel loyal towards. Much like the other methods we’ve mentioned, implementing this strategy will require a lot of research. As always, Google Analytics will be a key source of information. The Consumer Barometer is another useful option for better understanding your audience. Growth is essential to any business. It helps you keep your approach fresh, and will ensure that customers remain engaged with what you have to offer. There are numerous ways to create growth, and each requires an investment of time and resources to master. Aim to become the lowest cost competitor. Expand your existing range of products and services. Focus your approach on a specific audience. Do you have any further questions about ensuring steady growth? Let us know in the comments section below! Thank you for your kind words, Rahul!